You must be a member of the Alexandria Swimming & Adventures Group to attend this activity. Would you like to join this group? While the weather is still not suitable for the swimming, let's join our upcoming trip to Wadi El Rayan ,which is one of Egypt’s most famous nature reserves. 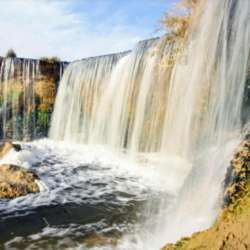 El Rayan’s beautiful waterfalls are about 20km away from the reserve’s gate on the left side of the road. The magic continues throughout the rest of Wadi El Rayan, you can enjoy barbequing and sandboarding; and if you’re into photography, you’re in for a real treat. -Transportation via air conditioning bus. - Water & soft drinks. 50 l.e you will pay by cash on the entrance of this protectorate area, it's an entrance fee.